Join us for the next adventure with the ScanNCut! During the April "MakeItWithMelissa" project class we will learn to use the ScanNCut Rhinestone Kit to embellish just about anything!! Put a little BLING on it! 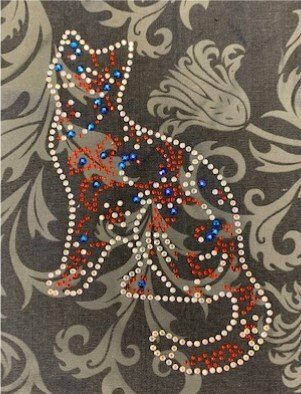 During this class everyone will make a rhinestone design that can be then pressed on to an object of choice. We will be focusing on how-to create multi-color rhinestone designs. Melissa presents a different project every month. Bring your cutting machine (ScanNCut DX, ScanNCut, Cricut, Silhouette, etc.) accessories, and a sense of adventure! Shirt, or Bag to press rhinestone design on to.